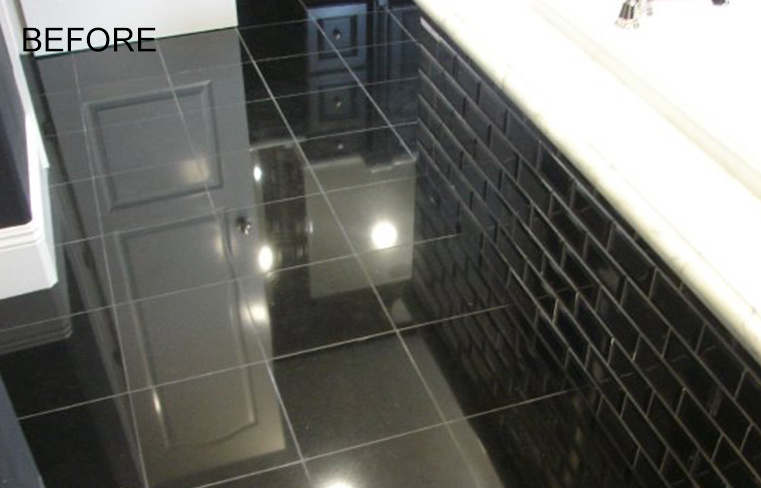 The builder had originally specified honed Black Absolute granite tiles for this model home’s master bathroom floor. 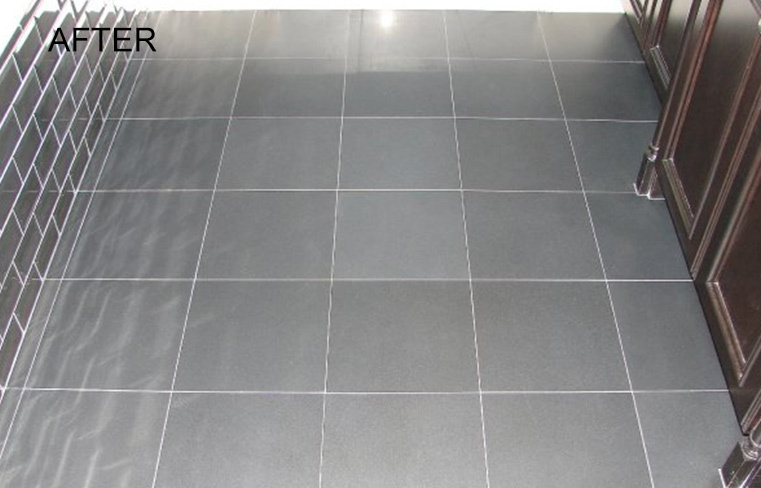 But the supplier delivered polished tiles. 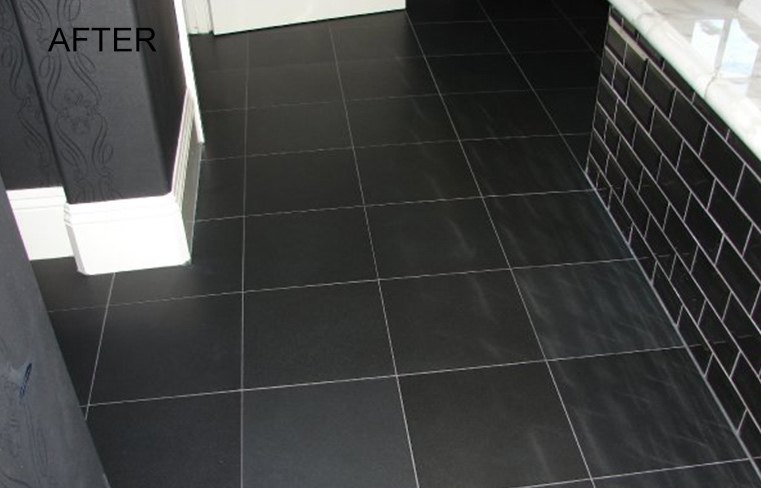 Natural Stone Care was commissioned to remove the polish from the tiles after the installation. 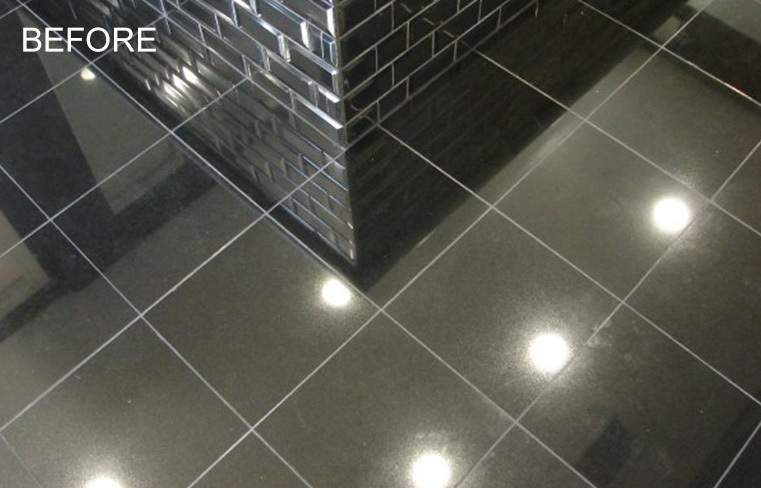 This is a difficult process to perform on granite in general, especially a granite tile floor with various planes, low spots, and sanded black grout. In addition, this finished model home had white carpet, so the builders were worried that refinishing process would ruin the carpet next to the bathroom floor. The builder’s fears of the carpet being ruined were unfounded. On this job, and on every job we do, Natural Stone Care masks and protects surrounding areas. 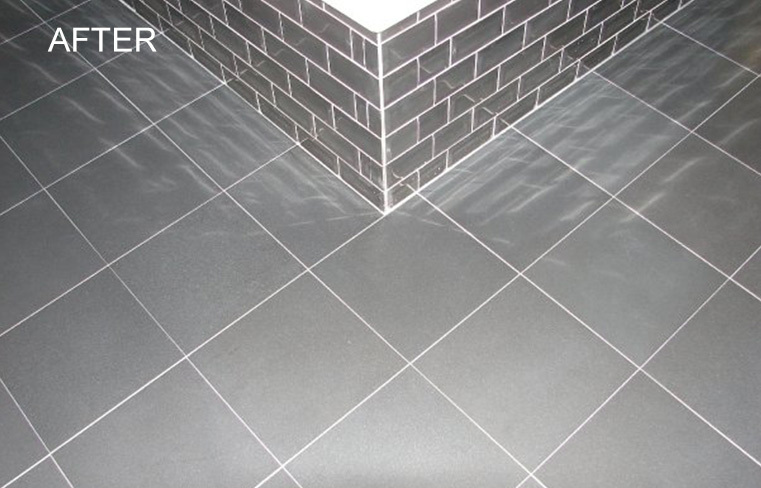 Our master technicians honed the floor and surfaces using a combination of chemical etching and mechanical, diamond grinding by hand and by machine. 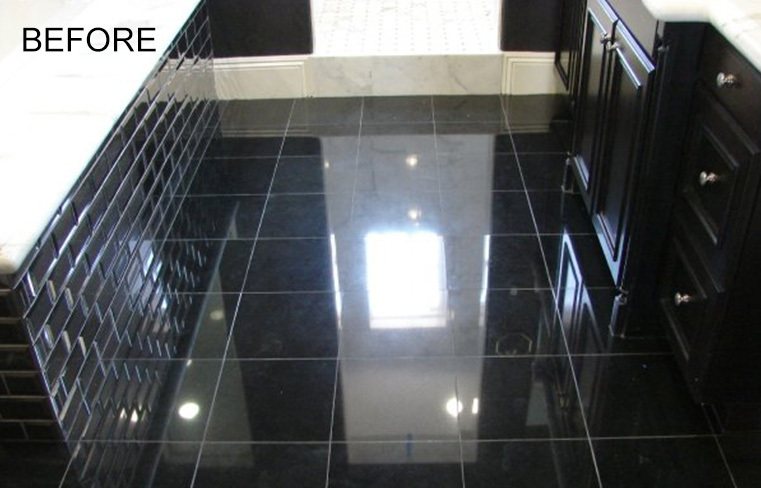 Then, to inhibit staining, we sealed the granite and black sanded grout using a premium, penetrating, natural-look sealant. Problem solved!